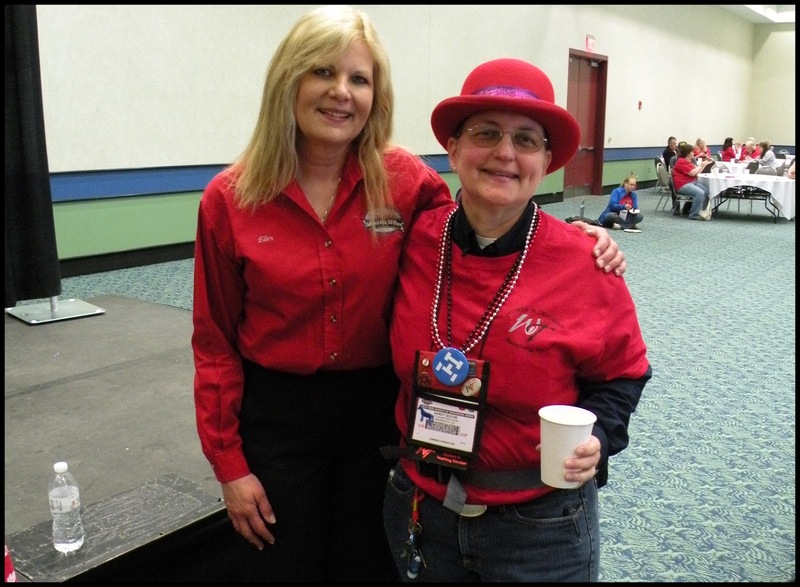 Plover, WI — February 1, 2018 —Women In Trucking Association (WIT) has announced Sandy Goche, as its February Member of the Month. Sandy is an expedite owner-operator and team driver of a 2016 Freightliner Cascadia along with her partner, Stephen Halsted. Sandy grew up on a farm that raised cattle, pigs and chickens as livestock with corn, soybeans, and oats as the crops. She got her first taste of trucking riding in the bunk of cabovers as they took her father’s cattle to market. However, she didn’t initially jump into the trucking industry. Sandy holds a Bachelor of Science (BS) degree in Computer Science Interdisciplinary with Mathematics from Mankato State University (now Minnesota State University, Mankato). She is also CompTIA Security+ certified. So, she chose a career route as a computer systems administrator for a Department of Defense (DoD) contractor. After nearly 30 years in her first career, Sandy and Stephen bought their first truck. For two years Stephen drove and Sandy handled the business side of the operation. It wasn’t until she was recuperating from colon cancer surgery in the hospital that she decided to become a driver and join Stephen on the road. “As the daylight driver of the team, I get to see the gorgeous scenery of this great country on my way by,” said Sandy. Sandy and Stephen are the first lifetime members of WIT and Sandy has been on roundtable panels for WIT at the Expedite Expos. She is also a life member of Owner-Operator Independent Drivers Association (OOIDA), All Frets, North American Fishing Club (NAFC), and the National Rifle Association (NRA). Sandy is a member of the Trucking Solutions Group (TSG), Team Run Smart, and is also Truckers Against Trafficking (TAT) certified. She has also used her truck to participate in a truck safety program for children ages 6-8 at Clearcreek Township Police Department Safety Town. “Expediting is one of the few careers as a woman that you are treated as an equal without having to prove yourself on a daily basis,” said Sandy. When Sandy is not on the road; she can be found organizing her mechanical pencils, ball point pens, roller ball pens, and fountain pens; target shooting; smallmouth bass fishing on Lake Erie; or practicing her tenor banjos, tenor guitars, and tenor mandolas. To learn more about Women in Trucking, please visit their website at: www.WomenInTrucking.com.